Headaches are an extremely common complaint in our society, and are often treated with “quick fix” pain medication. In fact, over half a billion dollars is spent annually on this type of remedy. What is in these drugs and are they doing us more harm than good? Are there more effective and natural remedies we can use to alleviate headaches? There are two main ingredients in the leading headache medications. These are Acetylalicylic Acid and Acetaminophen. Today, an estimated 80,000 tons of these two ingredients are being consumed each year. The main side effects of Acetylalicylic Acid can include, but are not limited to: gastrointestinal ulcers, stomach bleeding, severe abdominal or stomach cramps/pain/discomfort, heartburn or indigestion, bruising, confusion, dizziness, fainting, nausea or vomiting, buzzing or ringing in ears, tiredness or weakness, loss of hearing, allergic reaction, bleeding, etc. The main side effects of Acetaminophen can include, but are not limited to: nausea and vomiting, appetite loss, sweating, diarrhea, irritability, abdominal pain, yellow eyes or skin, liver failure, kidney failure, heart problems, ulcers, bleeding in the digestive tract, coma, seizures, death, etc. Please also note that these symptoms do not necessarily have to manifest instantly after taking them. Continuous use of these products can slowly wreck havoc on your system. In some cases a headache may be a symptom of a more serious underlying disorder, but often headaches are caused by stress, dehydration, tiredness, poor posture, caffeine, alcohol, drugs, food allergies, eyestrain, sinusitis, poor nutrition, or low blood sugar. Ginger = Traditional Chinese herbal medicine recommends ginger for headaches. Eat a small piece of fresh ginger root or make ginger tea from the fresh root or tea bags. Coriander Seeds = An Aryuvedic treatment for sinus-related headaches is the steam inhalation of coriander seeds. Put the coriander seeds into a small bowl. Pour on some boiling water, drape a towel over your head and the bowl, and inhale the steam. Celery = Celery contains phthalide which helps you to relax and be less anxious, which helps with pain. It is also rich in potassium which many headache sufferers are deficient in. Celery seeds can be used in smoothies/juices or soups. Taking 2 oz of celery juice and then laying down for 30 minutes has proven to be a very effective remedy for headaches. Herbal = Sitting down with a relaxing cup of mild herbal tea is often good for a tension headache. Good choices are peppermint, spearmint, chamomile, rose hip, lemon balm, or valerian root (may induce sleep). Additionally, adding cayenne pepper to your tea can help. 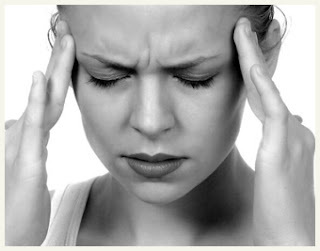 Vitamins and Minerals = Frequent headaches could be a sign that you are low on some important vitamins and minerals. Low levels of niacin and vitamin B6 can cause headaches. For example, all the B vitamins are needed to help combat stress and avoid tension headaches. The minerals calcium and magnesium work together to help prevent headaches, especially those related to a woman’s menstrual cycle. Good sources of calcium are dark green leafy vegetables, such as kale or broccoli, and beans and peas. Magnesium is found in dark green leafy vegetables, cacao, nuts, bananas, wheat germ, full spectrum salts, beans and peas. Aromatherapy = The relaxing qualities of lavender oil make it a good treatment for a tension headache. This essential oil is very gentle and can be massaged in your temples, the base of your neck, or the base of your nostrils. Taking a bath with relaxing oils such as chamomile or ylang ylang will also help to soothe and relieve pain. Emotional Freedom Technology (EFT – a.k.a Meridian Tapping) = The EFT tapping points align with particular acupuncture points along the meridians. EFT tapping techniques can help to remove emotional blockage in our body’s electrical or subtle energy system. EFT is referred to as ‘acupuncture without the needles’. For more information on EFT and where to find your meridian points, please visit The Tapping Solution. Rhythmic breathing = If your breathing is short and hurried, slow it down by taking long, slow breaths. Inhale slowly then exhale slowly. Count slowly to five as you inhale, and then count slowly to five as you exhale. As you exhale slowly, pay attention to how your body naturally relaxes. Recognizing this change will help you to relax even more. Deep breathing = Imagine a spot just below your navel. Breathe into that spot, filling your abdomen with air. Let the air fill you from the abdomen up, then let it out, like deflating a balloon. With every long, slow exhalation, you should feel more relaxed. Visualized breathing = Find a comfortable, quiet place where you can close your eyes, and combine slowed breathing with your imagination. Picture relaxation entering your body and tension leaving your body. Breathe deeply, but in a natural rhythm. Visualize your breath coming into your nostrils, going into your lungs and expanding your chest and abdomen. Then, visualize your breath going out the same way. Continue breathing, but each time you inhale, imagine that you are breathing in more relaxation. Each time you exhale imagine that you are getting rid of a little more tension. These are just a few natural remedies. There are many more. However, prior to any of these recommendations, we should always ensure that we are getting enough pure water throughout the day. It seems simple, but dehydration is the leading cause of headaches. By simply drinking more water during the day, we may reduce the frequency of headaches and their debilitating effects. Please note that some of the food items mentioned, such as bananas, cacao, and nuts can actually trigger headaches in some individuals. If this happens to you, don't give up. With a little research, you will definitely be able to find the remedy that works best for you. Our bodies are an amazing design. If we allow ourselves to trust our bodies’ ability to heal itself, the results will be astounding. Let’s treat our body with the respect and loving care it deserves. If we do, symptoms such as headaches will occur much less frequently. 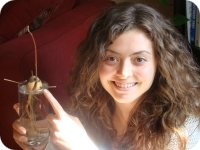 About the Author : Kyla Miller is the co-founder of guidinginstincts.com. She has overcome illness through dietary/lifestyle changes, and practicing a positive mindset daily. Kyla is a Registered Holistic Nutritionist and is currently studying to become a Reiki Master. These are great but I believe the author forgot an important thing, drinking plenty of water through out the day. Thanks for your comment! Your certainly right, keeping hydrated is of utmost importance. I started doing yoga back in October 2011. I was very stiff, and as stretched and loosed my body, I discovered that alot of my tension headaches disappeared. I found at first they started in the neck, then the upper back, lower back and finally the hips. I have even gone to a class with a tension headache and after the class was completely pain free. Try it. Thanks for your comment Dani! Yoga is certainly beneficial for an array of health problems. We highly recommend it. ~ Have an awesome day! NONE of the articles remedies will work for a true migraine, which is a neurological condition, not 'just a headache'. I tried every one of those before I agreed to see a doctor for mine - migraines are caused by your veins & arteries expanding and pushing against pain sensors and until those contract, your migraine will NOT go away. Nice try though.